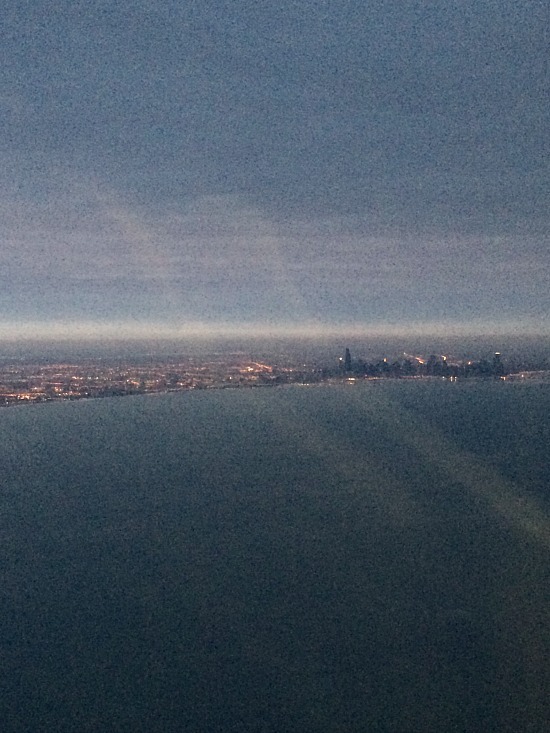 On my way to Houston to celebrate my birthday, I had a short layover in Chicago. 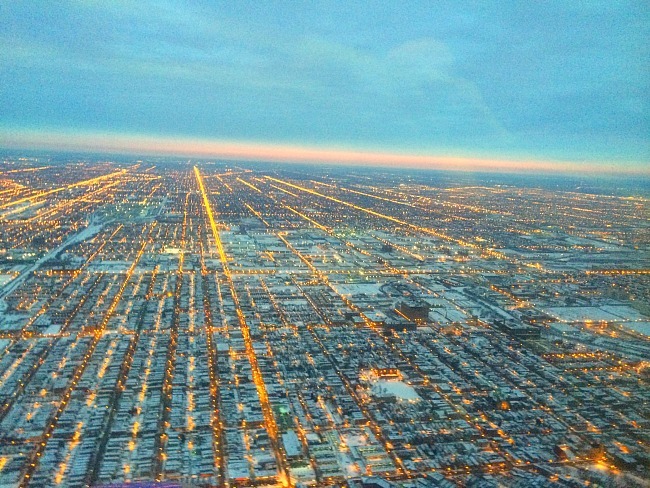 It was just getting dark as we were flying into the Chicago area. Lights below were starting to twinkle and it was a beautiful sight. Looking out my window, I could see the airport below, and watched as we flew right past it, headed out to the edge of the city, and finally over the waters of Lake Michigan below. Then there were a couple of what seemed like sharp turns to get us headed back toward the airport. It likely seemed a little more scary because we could see the frozen waters below, dark and uninviting. Finally, we straightened out and the view was breathtaking. But really, have you been there? Been headed towards that goal, maybe even been to the place where you can see the end in sight and then there is what seems to be a detour? You fly right past and think wait…where were the brakes?! It can be frustrating. We pray, we ask God for guidance, but we have been so focused on the end that we have missed each and every beautiful moment along the way. Sure the destination, the dream, the goal IS important. But I believe that God wants us to remain in the moment too. To see and recognize each step that gets us to our destination. See the beauty of the twinkling lights, even if it means we have to go out of the way and over rough waters to get there. If you asked me today what my “dream” was, it looks different than it did a few years ago. I no longer feel the need to “make it” in the blogging world. I write when and if God inspires me to do so. If I am silent for a length of time, it is probably either because I am not listening well to God…or he is just working out the kinks in some areas of my life so that I can be of better use for His purposes. Either way, my dreams now look less about what might be in it for me and more about what I might do for Him. And I want to be a woman who enjoys the journey. And I say this with all the humbleness I can muster too…it hasn’t been easy. I have been discouraged when a post I thought was stellar wasn’t shared or liked or commented on. I have felt jealousy when I saw other writers publish a book or were invited to speak at a conference. Why not me, Lord? That has been my heart cry more times than I would like to admit. And I have a lot of learning to do. Maybe I will never write a book or speak at a conference…but that doesn’t mean this journey has been worthless. On the contrary, I have been given so many gifts along the way. I may have spent too much time focusing on those things that seemed like the negatives of the detours, but when I step back and see the road for what it really is, I see all the friendships I have gained along the way, the prayers I have been given and been honored to pray for others. And the opportunities for growth and spiritual maturity as I learn to lean on and trust God with everything. All of it’s hard work, but sometimes life is just that. Hard work! The blessings that come from the difficult nos, the changes, and bumpy roads…they are gifts I will treasure for a lifetime. My friends make every moment worth it! If you find yourself in that place, the place of discouragement and doubt. If you feel like your dream has passed you by…have hope! Take a step back and count a blessing. Find that gift in each moment and step forward in faith that God will make good come out of all of it. And until we reach that final destination, see that dream fulfilled…let’s find ways to encourage one another. Because this hard work can be tough and lonely at times. We all need a little support! 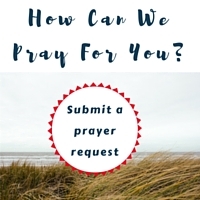 If there is any way that I can be praying for you, would you please leave a comment and let me know? It would be an honor to lift you up! Yes, yes, yes. I love this! And, you’re right, sometimes the journey doesn’t make sense but it’s always worth it. Oh yes, so often it isn’t clear to me during the situation, but I can always look back and see God’s presence during those times! Thank you so much Meredith!! I have been so encouraged recently by your posts on FB and the struggles you have had…knowing you are walking a similar path in some areas gives me hope. Thank you for being a blessing to me!! sister .. this is so good.. And I know you are impacting in ways you cannot even imagine. You have impacted my life friend.. I love that reminder this monday to not lose the wonder! Thank you friend!! ps: would love your prayers for our upcoming bloom conference. I think we all need that reminder to live in the moment and embrace the season we are in instead of always looking down the road to the next thing, whether we are chasing a dream or not. Yes Kathy Yes!! I have to remind myself at times to just be in this moment…because we aren’t guaranteed anything about tomorrow! This really resonated with me, Kristin. I’m such a results oriented person…I like the check mark of a job well done. But God doesn’t always let us have that, especially when there is more work to do. Yes, hard work! He’s been showing me (and my stubborn heart) over and over to focus on the process and leave the results in His hands. Thank you for speaking truth and reminding me again! Kristin, I love it when God affirms over and over the message He is trying to get through this thick brain and selfish heart of mine. And this post is one of those affirmations. Thanks so much! Oh so needed today to hear this. It was a disappointing day because I thought major things I was waiting for were happening today….but no not today. Jill, I am praying for you as you wait! It is so hard to wait, but I know I have seen God do some amazing things in my waiting times. Hoping and praying that for you!! Kristin, so much truth in this that I can relate to and experience myself. So many times I want to ARRIVE at the destination already! Thank you for the reminder that the journey in and of itself is a beautiful thing – even before the destination is in sight. Thank you for sharing your heart with us! This is so good, Kristen. I tend to be task-oriented and goal-driven, so I need reminders to enjoy the journey. That’s one thing church planting has taught me. I love your perspective on blogging and writing. Such a healthy place. You can pray for me to enjoy the journey! And I’m praying right now the same for the sisters in the comments above. Thank you so much Betsy!! This is a reminder I need myself all too often!! May the Lord continue to inspire you to bring Him glory through your words. 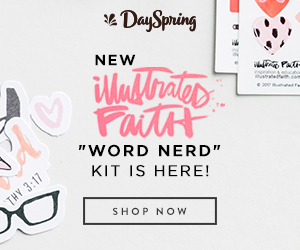 Kristen, you are a beautiful light shining brightly within the body of Christ, a beacon to which your sisters in the faith can look to be pointed to the Savior! 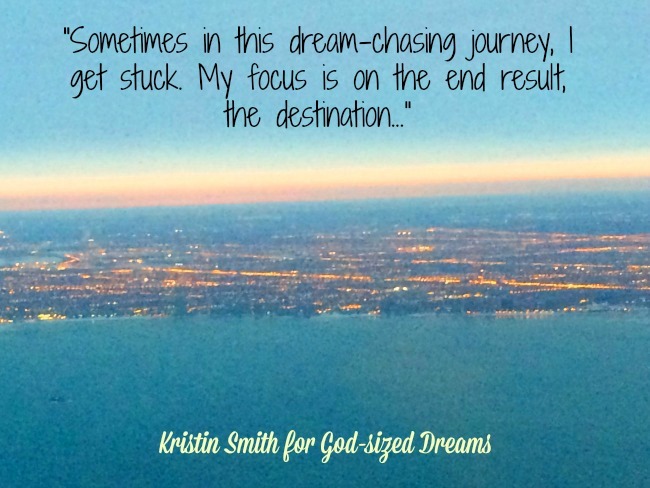 Kristin, I tend to be so focused on the tasks at hand , that I forget there is joy in the journey! But I am learning! Better late than never, amen? Beautiful post, thanks so much! I love this! Thank you for being vulnerable with us. I too don’t want to be a woman who misses the wonder!! Hi Kristin, I can’t tell you how much I needed this today. I’ve been going through a longsuffering and very difficult journey, with ample doubts and fears on a daily basis, but lately I’ve been thinking about the progress of my journey and what I’m supposed to learn from it as I go forward. I can’t help but wonder even though I don’t enjoy this pain or heartache that maybe there is joy or beauty in the struggle if we look for it? I’m going through the hardest time in my life right now, feeling like I’m drowning or hanging on by just a thread so I would absolutely appreciate any prayer from you. Thanks. Oh Shirley, I am praying. Thank you for sharing your struggle here…I believe that when we share our hurts we allow others to help carry the burden. I am praying that God would just lavish you in His love and peace and bring healing and hope to you. Thank you thank you for coming here…you are so appreciated!